Cub Scout Pack 35 will uphold a most treasured and exciting tradition, the annual Pinewood Derby, which takes place Tuesday, Jan. 28, from 6:30-8 p.m. at Laguna Presbyterian Church. The scouts, comprised of all local children in the first through the fifth grade, will race the cars they designed and built. 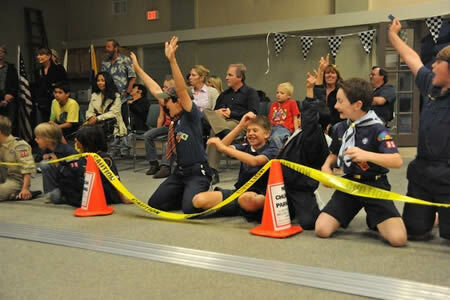 Excitement builds for scout’s model car race.